Professor Md. Irfan Khan holds a Ph.D. degree in demography from IIT, Kanpur and is currently Director of TALEEM Research Foundation- an autonomous research organization set up by Essel Group of industries in 1996. 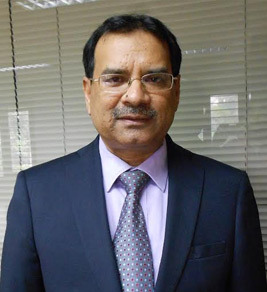 Professor Khan had also served the Foundation as Head- Research and Finance Controller and contributed extensively in Foundation’s growth since 1998. He has been part of the core team from TALEEM Research Foundation to establish and sponsor the Himgiri Zee University (HZU) in Dehradun. Professor Khan has nearly two and half decades of teaching and research experiences and specializes in the field of population, health and social development. In addition, elections studies and forecasting elections results are the other key areas of his research interest. Professor Khan has executed 58 research projects sponsored by national and international agencies as a Project Director and Co-Principle Investigator. He is one of the nation’s leading demographer known for his contribution in national demographic studies like NFHS, RCH, DLHS and GATS-India executed under the aegis of Union Ministry of Health and Family Welfare, Government of India. Professor Khan has also worked as consultant to UNFPA, Government departments and Academic Institutions. He has been visiting professor and resource persons to various Indian universities and academic institutions and external examiner for Ph.D. thesis evaluation. Professor Khan has attended numerous International and National Conferences and Workshops and has presented and published over 54 research papers in journals of national and international repute and edited books.